Wood pellets are a fantastic substitute for traditional chips and chunks. They are extremely efficient, make it almost impossible to over-smoke your food, and work well at both low and high temperatures. No matter what you’re cooking up, making sure you have the best wood pellets for smoking and grilling your food is essential. In this article we’ll cover the best types of wood pellets for various foods and situations, as well as everything else you could want to know about pellets. Does Brand Name Matter? Should the Pellets Match My Grill/Smoker Brand? 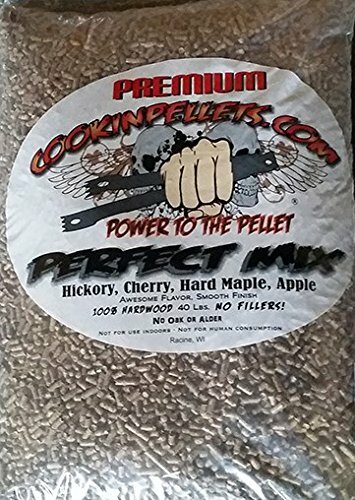 If you’re looking for an all-purpose blend, the CookinPellets Perfect Mix Smoking Pellets offer a no-filler mix of hickory, cherry, hard maple, and apple. Smoking a brisket? Try the Lumber Jack 100% Hickory Pellets for a traditional, rich smoke at low and slow temperatures. If you’re smoking ribs, a fruitwood is the perfect pairing, and Lumber Jack 100% Apple Pellets provide subtle sweetness and delicate smoke flavor. 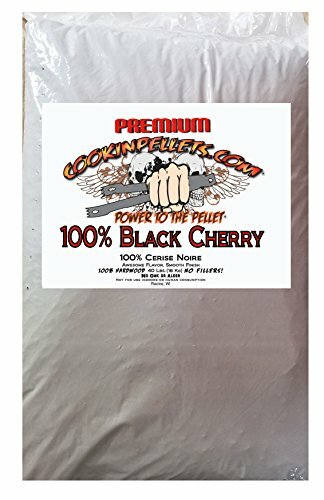 Subtle, sweet, and balanced, CookinPellets 100% Black Cherry Pellets give poultry a beautiful color and delicious smoky flavor. 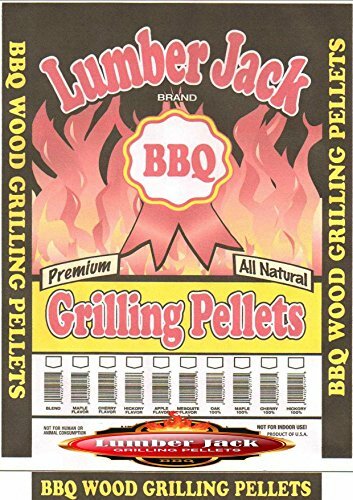 If you want to grill at a higher heat but still want that delicious smoke flavor, try Lumber Jack 100% Mesquite Pellets for intense smoke in a shorter cook time. In an attempt to cut costs and make base materials go further, some wood pellets are not entirely what they advertise on the bag. Some manufacturers will label their pellets as a certain type of wood, but rather than using only that particular wood, they will include another common wood (like alder) as a base or filler. Using only a small portion of the labeled wood can mean a less intense smoke flavor and a disappointing end result for your food. In a similar vein, some manufacturers will use a common wood for the pellets and add flavored oils to mimic the particular flavors of different woods. These pellets can be hit or miss, but they should generally be avoided, as they often lack authentic flavor. 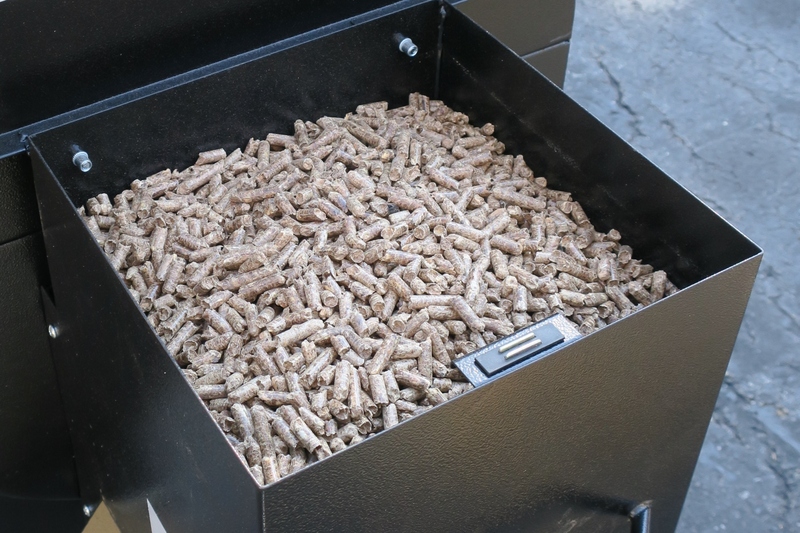 You might be thinking, “I bought a Camp Chef smoker, does that mean I need to buy Camp Chef brand pellets?” Some grill/smoker manufacturers will encourage you to use their brand of wood pellets, stating that when used with their grill or smoker, the end result will be a better flavor for your food. However, this is not necessary. Feel free to branch out to any brand of wood pellets you want. All pellets are approximately the same in size and shape, so you won’t run into any problems. Below you’ll find our recommendations for wood pellets – we’ve made sure to avoid brands that use fillers and artificial flavors. If you’re looking for all-purpose pellets appropriate for any type of food, check out the CookinPellets Perfect Mix Smoking Pellets. Offering a blend of quality hardwoods – hickory, maple, cherry, and apple – this mix can be used for every cook if you don’t want to fuss around with swapping different types of wood. Note that CookinPellets uses only ‘heart’ woods, which come from the center of the log. That means there is no bark, which is known to create more ash when burned. This company is also proud to never use any oils or binders in their wood pellets, as well as never using filler woods like oak or alder. You can rest assured that the label describes exactly what is inside. When it comes to smoking a brisket, oak and hickory are typically recommended by pitmasters, particularly those from Texas*. So why are we highlighting these hickory wood pellets from Lumber Jack rather than oak? The answer lies in the nature of smoking with pellets, which typically give a mild smoke flavor. Since the smoke from pellets isn’t as strong, we recommend hickory for its more intense flavor – it will ensure that your brisket ends up with a nice smokey taste before you wrap it up. However, if you are the rare type that likes to leave your brisket unwrapped for the duration of the cook, then you may want to opt for a more mild oak. Or experiment with a blend of both! No matter what you choose, know that the brand Lumber Jack makes their pellets from trees, not just residual wood. Additionally, they are made 100% from the labeled wood (with no fillers). *If you want to read more about Texas pitmasters and their wood preferences, check out this article from the Dallas Observer. When it comes to smoking pork ribs, fruit woods work great. Specifically, we recommend these 100% apple wood pellets from Lumber Jack. Apple is sweet and mild, making it perfect for ribs. However, cherry is another similar and perfectly fitting choice. Lastly, hickory is another popular choice for ribs. These Lumber Jack pellets are made in the USA, and they pride themselves on making pellets from real trees, instead of simply using residual wood. It’s also worth saying that they manufacturer these at their own facility rather than “co-bagging” from a larger brand. Poultry such as chicken or turkey is a fantastic meat to barbecue, as it picks up a great deal of smoke flavor, as well as rich coloring. As poultry has such a mild flavor on its own, it can be easy to overdo the smoke. Wood pellets made from cherry, like these black cherry ones from CookinPellets, provide a subtle sweetness without overwhelming the meat. Cherry also does a great job of creating a beautiful, deep mahogany color on your bird. Just like CookinPellets’ ‘Perfect Mix’ blend above, these black cherry pellets aren’t made with any oak/alder fillers. Additionally, they don’t contain bark – that means more consistent temperatures and less ash. Grilling with smoke is a different beast. Since grilling takes place at higher temperatures and the food will cook for a shorter time, you want to make sure you get plenty of smoke flavor in during that shorter window. With 100% mesquite pellets like these ones from Lumber Jack, you can achieve that rich smoky flavor with less time. Mesquite itself has a very strong flavor, so a little goes a long way with these wood pellets. As always with Lumber Jack, the wood comes straight from the tree and not from a second-hand source with no traceable origin. With their customers’ satisfaction at the forefront, independent test results are available on request to show the purity of their pellets. Due to the density of wood pellets, they are a much slower-burning source of fuel. Additionally, the mechanical auger system inside pellet grills pushes pellets out only as they are needed. As a result, roughly one third of a cup of pellets produces enough smoke for a half hour grilling session, which is considerably less in comparison to wood logs or chunks. Cleaning out your grill or smoker after cooking can be a real slog and extremely messy. With wood pellets, the aftermath is much less unpleasant to deal with, as they burn almost totally and leave very little ash behind. Pellet smokers often have ash dumps which make it even more simple to clean out the waste. Unlike charcoal, wood pellets will also not make your hands dirty as they leave no residue when touched. Is it possible to use wood pellets on a propane or charcoal grill? Yes! 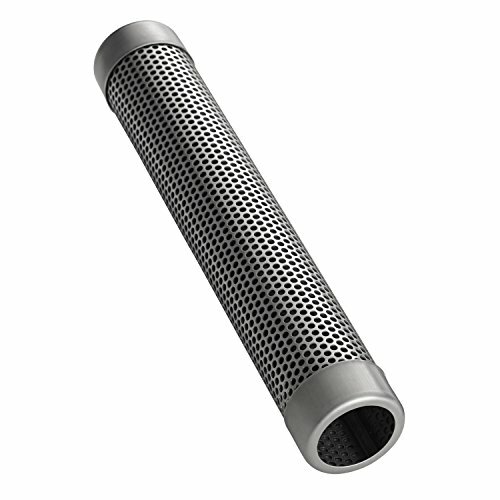 You can fill a specially designed tube like this one with pellets. Then you just light one end, and it will burn on its own all the way through. Set it directly on your grill grates near your food, and you’re good to go! That’s it, you made it to the end! I hope this guide helped you gain a thorough understand of the best wood pellets for smoking and grilling. If you have any favorite brands we left out or felt we missed an amazing meat/wood pairing, let us know in the comments below. And if you have any questions, please feel free to ask away!